Ditching their skirts and shedding their heels, women are donning helmets and burning up the roads along with the men on their motorcycles. From students and school teachers to sales representatives, women have proven they can ride just as well as the men.No longer the stereotypical female biker with tattoos, leather and a bad attitude — women from all walks of life and ages are stepping out and enjoying the freedom and agility of motorcycles. 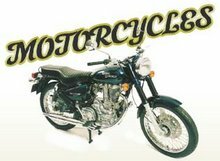 From dirt bikes to Harley Davidsons, the kinds of motorcycles available to women range as wide as the kinds of women who ride them. Petite in stature with long, bright, red hair and brown eyes, Whitesboro High School student and dirt bike rider Preslie Bolderjeck, 15, said she enjoys getting down and dirty with the boys. "My dad grew up with dirt bikes. Why should guys have all the fun? Word is getting out that this is a really fun sport for girls/women too. We have a high number of women riders here in the state of Colorado. I ride whenever I can and even to work. I have a 2002 Yamaha V-Star 650 Custom and love every mile on it. Thanks for the link and I'm happy to reciprocate back. I've got a link back to you.